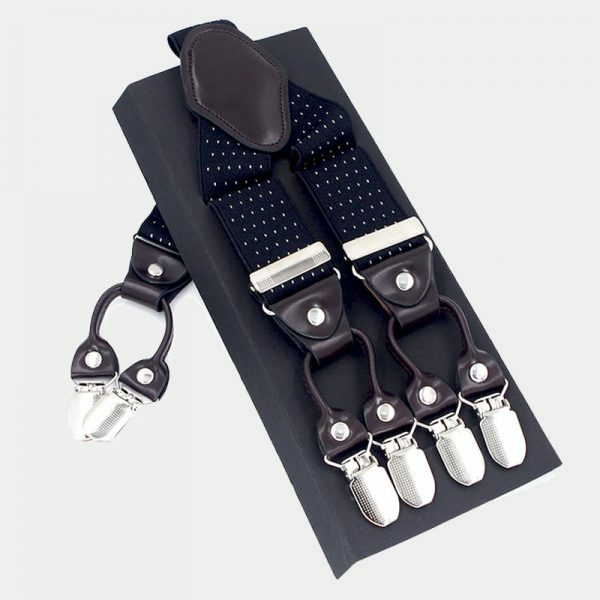 Include these elegant gentleman’s vintage black button suspenders in your accessory collection. They are a smart way to give your belt a break as well as add some style to your wardrobe. 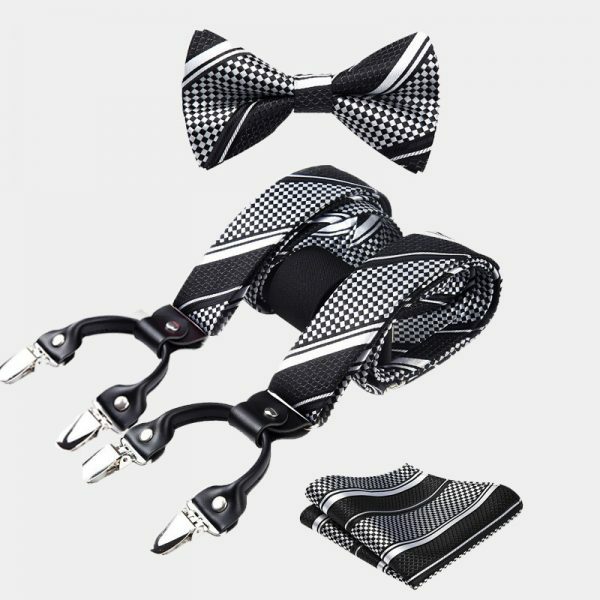 These black men’s trouser braces hold your pants up and are easy on your wallet. Pair them with your business suits for a sharp and clean look at the office. These vintage black button suspenders also look attractive with casual outfits like jeans and your favorite t-shirt. 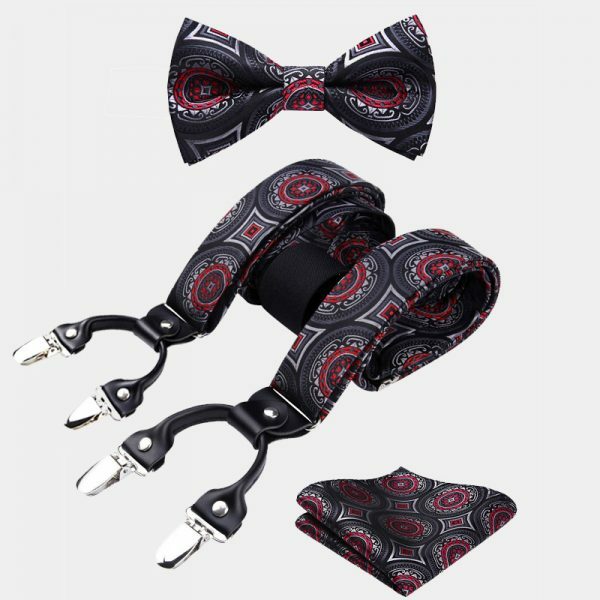 In addition, they are the perfect accessory for your special occasion attire like wedding and prom tuxedos. 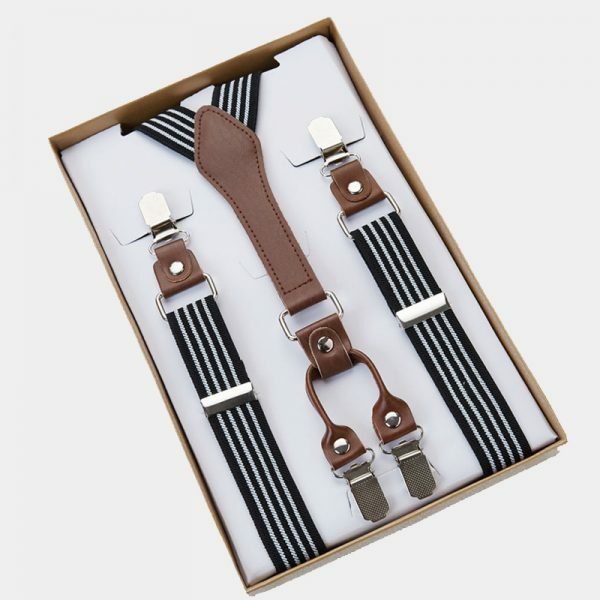 High-quality materials are used to handcraft these dashing men’s dress suspenders. The durable spandex is also soft and comfortable. It won’t stretch out of shape and get loose. 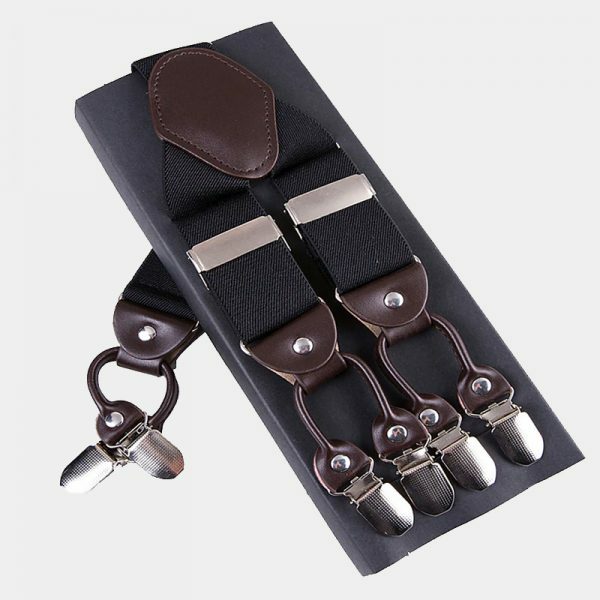 Not only are the genuine leather bindings soft and thick but they are also beautiful and durable. These handsome vintage black button suspenders fully adjust giving you a perfect fit each time you wear them. 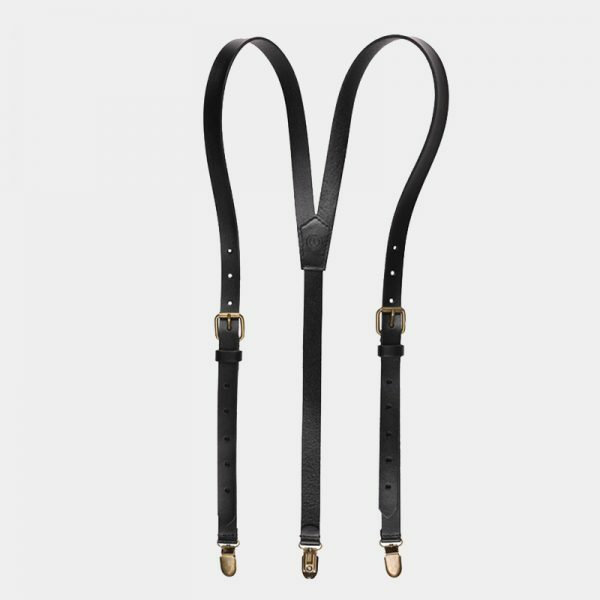 In addition, these gentleman’s black dress suspenders come with extra buttons so you can wear them with any of the pants you own. Each pair is packaged in a sturdy box which also makes them perfect for gift giving.